Law and Internet Foundation (LIF) is a Bulgarian non-for-profit organization with the ideal goal to contribute to the fast penetration of the information and communication technologies (ICT) in the legal profession, the development of the ICT law and the realization of interactive projects and solutions. Among LIF team’s research areas are legal issues and practical aspects in the field of electronic documents and electronic signatures, e-identity, e-government, e-commerce, e-communications, e-health, e-justice (incl. cybercrimes and electronic evidence issues), privacy and data protection, IPR protection online, etc. The organisation has implemented more than 90 consultancy projects and ICT Law initiatives incl. trainings and legislation development. LIF is a Research Centre, officially recognised in the Register of Scientific Activity at the Ministry of Education and Science. It initiates and supports activities for implementation of scientific and applied researches, studies, programmes and projects in the field of new technologies and technological development; social entrepreneurship; transfer of knowledge, expertise and mentorship for students and young researchers. LIF experts have participated in the legislation process of the current ICT regulations and in implementation of the European legislation in Bulgaria – the Electronic Commerce Act, the Electronic Governance Act, the Electronic Document and Electronic Signature Act, the Electronic Communications Act, the Commercial Register Act, the cybercrimes section of the Criminal Code and many other acts of primary and secondary legislation and instructions in the field of ICT. They have been frequently invited to support the elaboration of key policies and strategies of national importance such as: the e-Government Strategy, the Strategy for e-Healthcare in Bulgaria, the Strategy for e-Justice Development, the Policies and Standards for provision of administrative services, the Strategy for Bulgaria's Competitiveness on the International ICT Markets, etc. LIF experts are also authors of more than 500 books, articles, analyses and research studies in ICT Law in Bulgaria and abroad; and are editors of prestigious international publications in this area. LIF experts are members of European Electronic Messaging Association (EEMA), International Technology Law Association (ITECHLAW), International Association of Privacy Professionals (IAPP), etc. The Foundation’s team members bring together their knowledge, skills and creativity to accomplish one common idea – to be most useful to society through their projects, analyses and organised events. The experience gained over the years shows that the most important precondition for success is the permanent strive to achieve and maintain the highest possible professional standards and providing innovative and sustainable solutions. Currently LIF has an experienced administrative team and counts on the competence and expertise of more than leading specialists – academics in prestigious universities, legal professionals, experts in mentoring & coaching, Project management, business communications, strategic management and innovations. In addition, the organisation has a rich database of Bulgarian and international high-level consultants who can be relied on for the realisation of its projects. LIF is currently certified to ISO 9001:2008 and ISO 27001:2005. 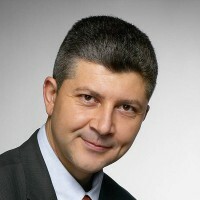 Prof. Dr. George Dimitrov is the Chairperson of the Law and Internet Foundation. He graduated from Sofia University “St. Kliment Ohridski”, Faculty of Law (LL.M. in 1995) with honours and has specialised at the Academy of American and International Law, Dallas, Texas, where he was awarded the prestigious Victor Folsom Fellowship. He is a holder of a PhD in ICT Law from the Katholieke Universiteit Leuven, Belgium. 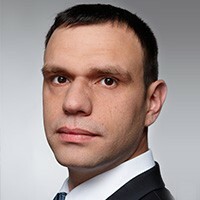 He is currently a lecturer in ICT Law at Sofia University, Faculty of Mathematics and Informatics, in Technical University of Sofia, University of Library Studies and Information Technologies and in Veliko Tarnovo University. He has been the leading expert and head of numerous work groups that have drafted the contemporary Bulgarian legislation in the area of ICT, incl. the preparation of the analyses of the legislation in the area of personal data protection in relation to the implementation of the new framework of the e-Communications sector (Acquis'2002). Since 2009 he is an expert at the Advisory Council on Electronic Communication, Postal Services, Information Society and Electronic Governance at the Ministry of Transport, Information Technologies and Communications. He played an essential role in the elaboration of key national strategies such as: the Strategy for the Implementation of e-Healthcare in Bulgaria, the e-Government Strategy, the Strategy for e-Justice Development, the Strategy for Bulgaria's Competitiveness on International ICT Markets, etc. He has been appointed a national correspondent in many projects assigned by the EC on reporting the implementations of various EU directives in Bulgaria. He is a member of Scientific Board of the European Privacy Institute. In 2011 he has been appointed a member of the Scientific Advisory Council to the Research Directorate for Information and Communication Sciences and Technologies at the Bulgarian Academy of Sciences. 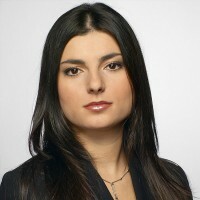 Alexandra Tsvetkova graduated from Sofia University, Faculty of Mathematics and Informatics (2007), as a Bachelor of Informatics and later on continued her education specializing in Electronic Business and Electronic Governance in the same university (Master’s Degree in Informatics, 2010). Over the years, she has been responsible for the overall management and implementation of more than 50 projects and initiatives of multidisciplinary nature, including planning, overall coordination and implementation of project activities, management of financial and time resources, team management, communication with target audiences, and accountability. 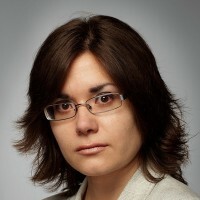 As an expert, she has been primarily involved in drafting legal and organizational analyses; conducting studies of socio-economic nature; consulting on ICT legal and organizational restructuring and in drafting of legislative acts in the field of ICT and the protection of personal data; organizing of trainings and public events, incl. participating as a moderator of public events and focus groups and trainer on topics in the field of legal aspects of information technology. She has profound experience in project management which includes, inter alia, planning, organizing and managing resources, timelines and budgets, with more than 7 years of experience. She is currently assistant lecturer in ICT Law at Sofia University, Faculty of Mathematics and Informatics, and pursues a PhD in Automated Systems for Processing Information and Management. 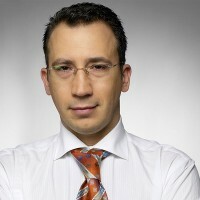 Mr. Bogdan Petrov is a founder and senior legal expert in Law and Internet Foundation. He graduated from Sofia University, Faculty of Law (LL.M. in 1994) and specialized in Management at the University of National and World Economy, Sofia. He also completed the Enterprise and Investment Course organized by the International Development Law Organization (IDLO), Rome, Italy in 2003. Mr. Petrov has assisted in drafting numerous acts of primary and secondary legislation, and various reports. His practice focuses on electronic governance, electronic commerce, electronic communications, electronic signature and electronic document, etc. Mr. Petrov has been a noted speaker at numerous public discussions and workshops. He has published studies and articles in national and international editions on the e-Document and e-Signature Act, the Public Procurement Act, the Telecommunications Act, etc. Mr. Petrov has more than 12 years of practical experience in leading projects and providing legal advice to major telecom operators and ICT companies in Bulgaria on complicated commercial matters. He is also a member of the Sofia Bar Association and the International Bar Association. Desislava Krusteva graduated from Sofia University, Faculty of Law (LL.M. 2003). Her practice now focuses on e-Commerce and Internet Law, Telecommunications Law, Personal Data Protection Law, Contract Law and Corporate and Commercial Law. In recent years Ms. Krusteva has been actively involved in drafting numerous legislative acts including the Law for Amendment and Supplementation of the Access to Public Information Act, the secondary legislation on the implementation of the e-Documents and e-Signatures Act, the e-Communications Act, on the state administration's corporate identity, etc. She is the author of numerous reports and legal opinions on the implementation of the EU ICT legal framework, e-government, privacy and data protection, e-communications, etc. Ms Krusteva has won the scholarship of the Intellectual Property, Communications and Technology Section of the International Bar Association and is now a member of this prestigious organization. Boyan Ivanov graduated from the University of Ruse, Faculty of Law in 2008. Mr. Ivanov has extensive experience as a legal expert in more than 20 projects, funded by the Structural and Cohesive Funds in Bulgaria. He is well versed in the areas of project financing and public-private partnerships. Mr. Ivanov’s recent practice is related mainly to the legal aspects of the use of ICT in government activities - e-Government, e-Justice, e-ID, administrative reform and organizational development, e-Procurement, etc. He is a lecturer on e-Government and Public Procurement issues. He has been involved in a number of legislative initiatives related to ICT utilisation in administrative services provision and business process optimisation and has been responsible for drafting amendments and supplements of applicable legislation and by-laws. Mr. Ivanov has excellent knowledge in the subject matter related to electronic documents and electronic signatures utilisation in business, governmental and judicial sectors.